Desi Smith/Staff Photo. Kyle Connors 35 years old (thrid from left) from Madison Connecticut has a lot of support from friends as he and the group head back after taking the plunge at Good Harbor Beach Saturday afternoon. Connors was diagnosed with ALS this year. 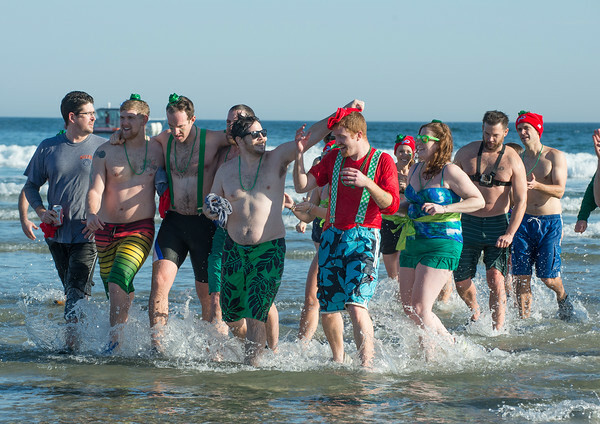 More than five hundred turned out to take the Plunge 4 Pete to benefit ALS research and Pete Frates personal fight against the disease.